Clare & Richard had their wedding celebrations at Chevin Lodge in Otley today. 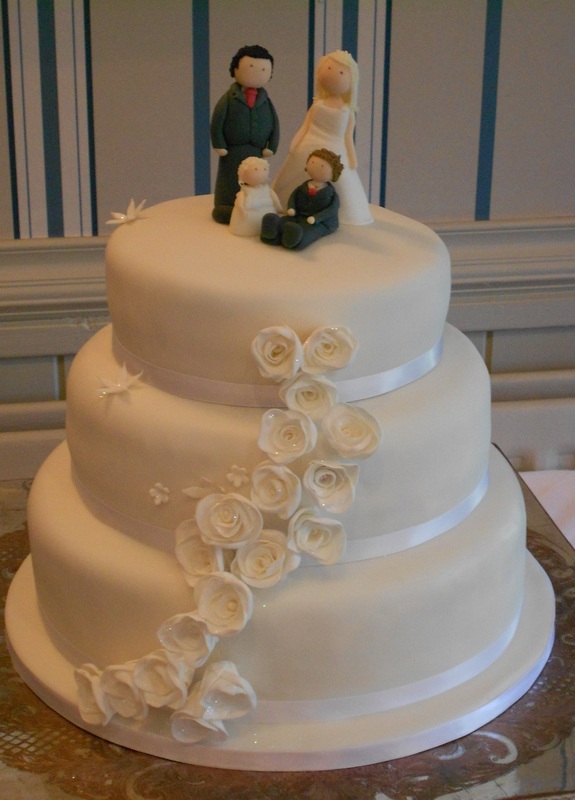 This was their cake which featured handmade sugar roses and of course the wedding family (Clare, Richard, Oliver and Gracie). Congratulations!